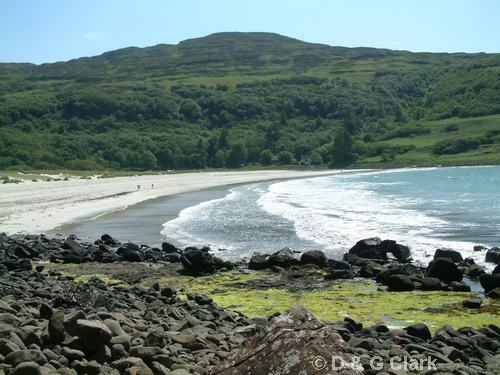 The Island of Mull is renowned for its landscapes, beaches, hills and its wildlife. 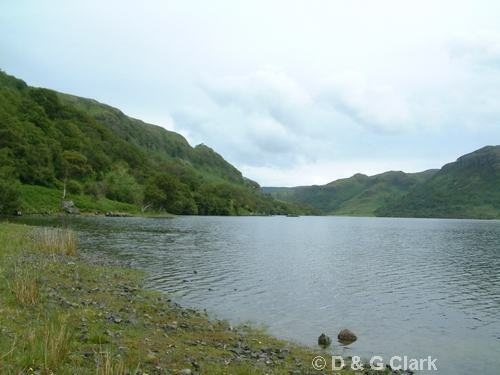 Its landscapes are varied; from mountains and moorlands to sea lochs and hill lochans, damp boggy marshes to sandy beaches. Mull and the surrounding islands support a varied range of birdlife. 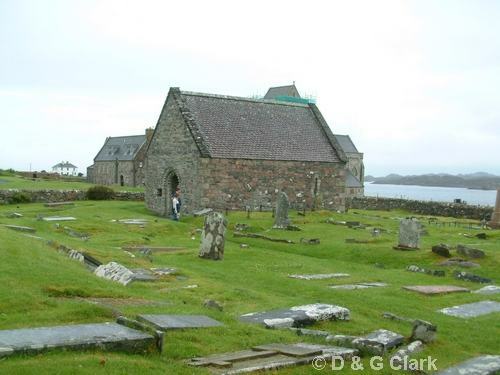 The rarer birds to be seen are the Corncrake (Iona) and the successfully reintroduced White-tailed Eagle or Sea Eagle (do not forget to visit the Eagle Hide at Loch Frisa). Other raptors include Golden Eagle, Hen Harrier, Peregrine Falcon, Kestrel, Merlin, Sparrow Hawk and Buzzard. 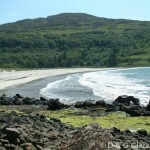 Mull has a coastline of some 300 miles long with many tidal lochs. These attract many waders and birds of passage stopping to feed whilst en-route to their summer and winter feeding grounds. Whooper Swan, Bar-tailed Godwit, Greenshank, Redshank, Snipe and Whimbrel are just a few to name. Large flocks of Teal and Wigeon overwinter on Mull as well as Shelduck, Goldeneye and Merganser. All three Divers can be seen at different times of the year in and around the Isle of Mull: Great Northern and Black-throated Divers on the sea lochs during the winter and Red-throated Diver in fresh water lochs in spring and summer. Slavonian Grebe and occasional Red-necked Grebe can be seen on the sea lochs during the winter months. There are excellent opportunities to see otters along Mull’s coastal roads as well as sea birds such as Guillemot and Black Guillemot, Shag, Cormorant and occasional Gannet and Great Skua to name but a few. 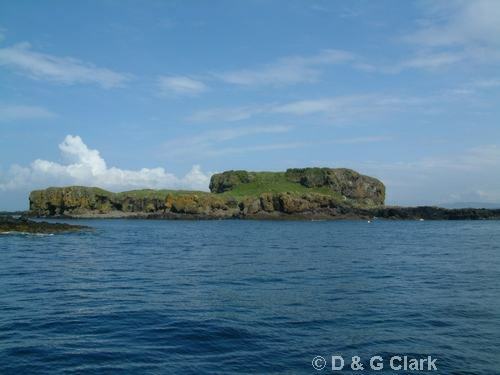 During summer, a boat trip to the Treshnish Isles is an unforgettable experience as you get close to nesting birds such as Puffin, Shag, Kittiwake, Guillemot and Razorbill with as bonus a chance to see Whales or Dolphins. Habitat: Enclosed, isolated bay in NW of Mull. Birds of interest: Greylag Goose, Red-throated Diver, Great Northern Diver, White-tailed Eagle, Peregrine Falcon, Ringed Plover, Rock Pipit, Grey Wagtail, Whinchat. Habitat: Open bay on south side of Mull. Birds of interest: divers in winter, Peregrine Falcon, Raven. Habitat: Largely uninhabited glen in north of Mull with mountains, moorland and conifer forest. Birds of interest: Hen Harrier, Golden Eagle, Merlin, Short-eared Owl, Snow Bunting. Habitat: Headland overlooking Firth of Lorn towards isle of Kerrara. Birds of interest: Manx Shearwater, Gannet, White-tailed Eagle, Hen Harrier, Sparrowhawk, Black Guillemot, Tree Pipit, Common Stonechat, Grasshopper Warbler, Common Whitethroat, Wood Warbler, Willow Warbler, Raven, Twite, Lesser Redpoll. 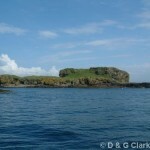 Habitat: Island off E of Mull with sandy bays and cliffs and stacks to the south. Birds of interest: Shelduck, Fulmar, Cormorant, Shag, Corn Crake, Ringed Plover, Dunlin, Snipe, Whimbrel, Common Sandpiper, Black Guillemot, Sky Lark, Stonechat, Northern Wheatear, Sedge Warbler, Spotted Flycatcher, Raven, Linnet, Twite. Habitat: Freshwater loch at the N of Mull. Birds of interest: Greylag Goose, Little Grebe, Common Snipe, Teal, Common Redshank, Greenshank. Habitat: Sea loch with mud flats at low tide. Birds of interest: Greylag Goose, Red-breasted Merganser, Goosander, Ringed Plover, European Golden Plover, Northern Lapwing, Eurasian Curlew, Common Redshank, Greenshank. Birds of interest: Mute Swan, Whooper Swan, Common Shelduck, Eurasian Wigeon, Eurasian Teal, Red-breasted Merganser, Little Grebe, White-tailed Eagle, Peregrine Falcon, Ringed Plover, European Golden Plover, Northern Lapwing, Dunlin, Bar-tailed Godwit, Whimbrel, Common Redshank, Greenshank. 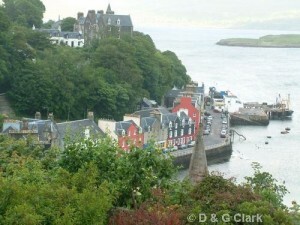 Habitat: Large sea loch with many islands large and small. Bays backed by meadow and woodland. Birds of interest: Common Eider, Black-throated Diver, Slavonian Grebe, White-tailed Eagle, Hen Harrier, Golden Eagle, Ringed Plover, Greenshank. 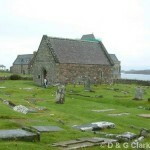 Habitat: Large sea loch with area of tidal mud flats at head (Loch Beg). Birds of interest: Eurasian Wigeon, Common Goldeneye, Red-breasted Merganser, Red-throated Diver, Black-throated Diver, Great Northern Diver, Common Redshank, Greenshank. Birds of interest: Red-throated Diver, Black-throated Diver, Great Northern Diver, Golden Eagle, Northern Wheatear. 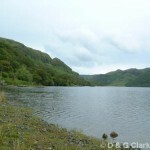 Habitat: Chain of freshwater lochs in the north of Mull. Birds of interest: Greylag Goose, Common Goldeneye, Goosander, Little Grebe, Grasshopper Warbler. Habitat: Collection of small uninhabited islands off the west coast of Mull with rocky shores and low cliffs in places. Contain important seabird colonies. Birds of interest: Greylag Goose, Common Eider, Fulmar, Manx Shearwater, European Storm Petrel, Northern Gannet, Shag, Peregrine Falcon, Corn Crake, Oystercatcher, Ringed Plover, Common Snipe, Common Sandpiper, Arctic Skua, Great Skua, Lesser Black-backed Gull, Herring Gull, Great Black-backed Gull, Kittiwake, Common Tern, Arctic Tern, Common Guillemot, Razorbill, Black Guillemot, Puffin, Rock Dove, Sky Lark, Meadow Pipit, Rock Pipit, Wren, Northern Wheatear, Hooded Crow, Common Raven, Common Starling, Twite.